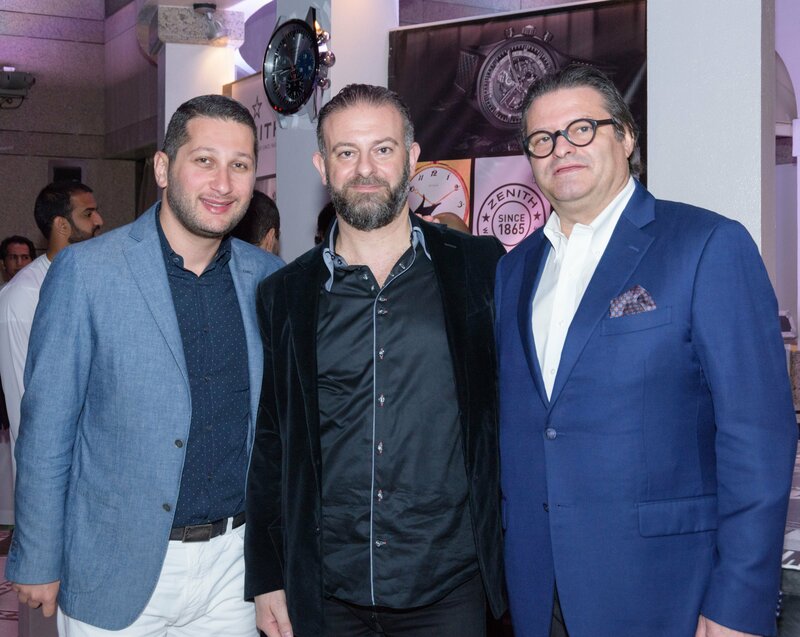 Swiss Manufacture Zenith launched its new intense black El Primero Tourbillon Skeleton and El Primero Skeleton in a world premiere in Dubai, in the presence of brand CEO Aldo Magada, Regional Director Zenith Middle East George Bechara. The two timepieces, performance feats using ceramic -a new arrival at Zenith-, made their debut and revealed their legendary mechanism through a fascinating open-worked design. The intense black ceramic case and dials are spiced up by a touch of crimson on the seconds hands and date display. The complicated models radiate an imposing and distinguished presence with their 45 mm of black ceramic framing a skeleton dial, through which the intricate El Primero mechanisms radiate. The El Primero Tourbillon Skeleton combines a tourbillon with a high-frequency chronograph, while the El Primero Skeleton embodies the spirited energy of a classic “El Primero” chronograph. 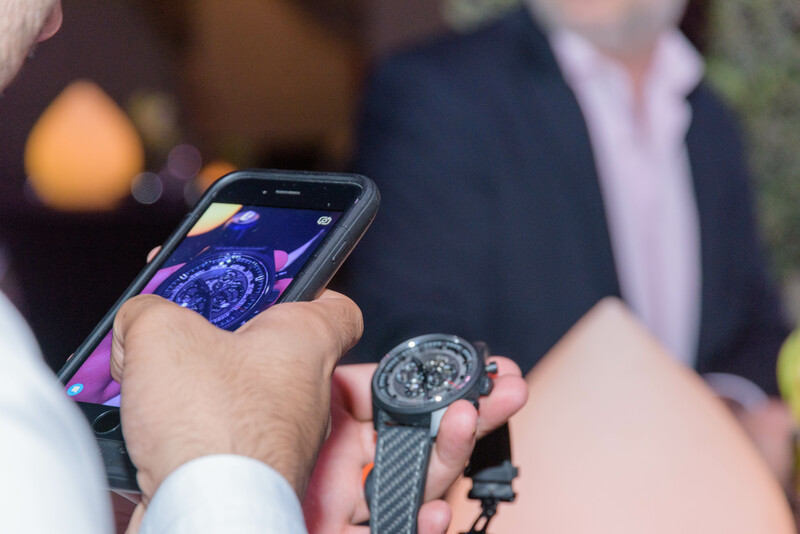 Watch collectors, brand fans and members of the press discovered the two fascinating pieces at an exciting event, in a mysterious, dark environment, at Noire, the dine-in-the-dark gastronomy restaurant at the Fairmont Dubai. The tourbillon version is designed in a resolutely futuristic mode. The tourbillon carriage performing one rotation per minute is offset at 11 o’clock, while the open-worked chronograph counters form a figure eight. Also beating at 36,000 vibrations per hour enabling a tenth-of-a-second display, the El Primero Skeleton chronograph movement powers central hours and minutes, small seconds, chronograph and date functions. 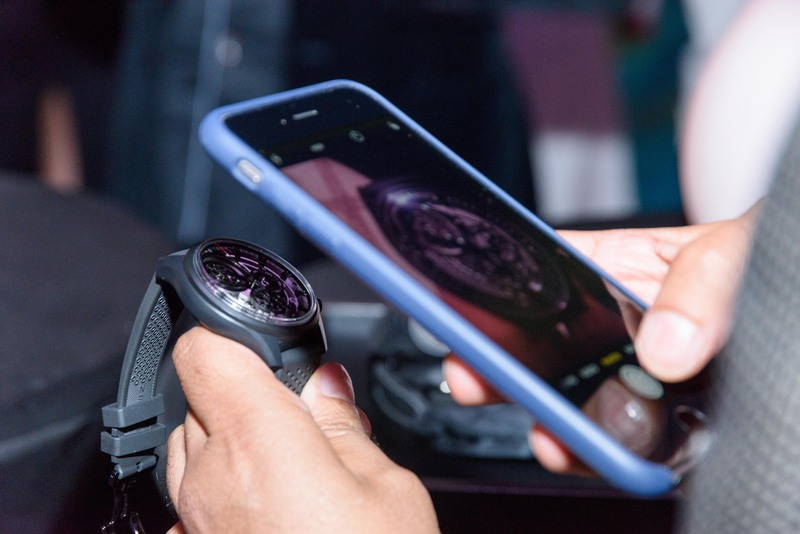 Both models have a power reserve of over 50 hours. 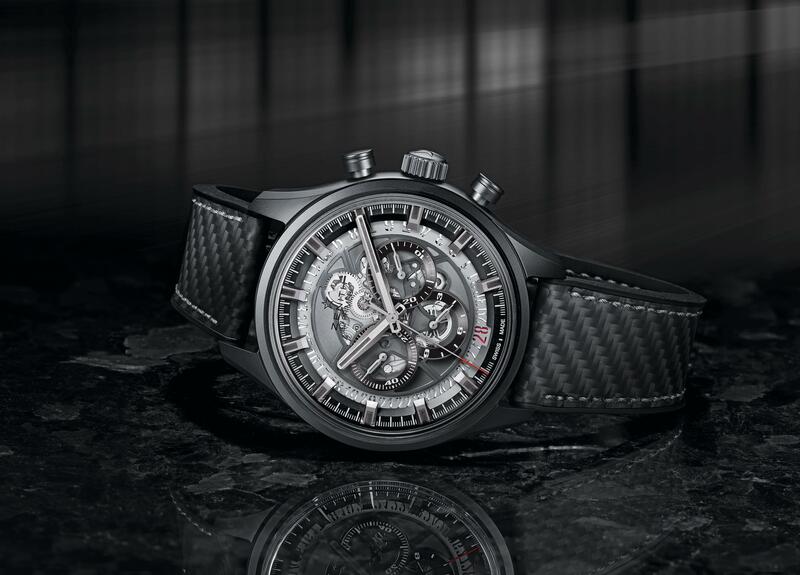 The strong character of the El Primero Tourbillon Skeleton and El Primero Skeleton is accentuated by a black rubber strap, perforated on the tourbillon version and carbon fibre-coated on the chronograph, fitted with a titanium and black PVD-treated triple folding clasp.